The end of 2016 will be here very quickly. We are not only anticipating the holidays and a new year, but also a shift in the White House and Congress. Despite all the guessing and what ifs by various political pundits and radio talk show hosts most of us are just scared to death as to what will happen and what it will mean. With so many issues, nationally and internationally, nonprofit agendas have definitely flown under the radar. That is actually even scarier, because there is no discussion about a sector of the economy that employs one out of eleven Americans and provides health, social, educational and cultural services that buttress our humanity. The best tactic a nonprofit can execute is a strong year end utilizing fundraising fundamentals. Make your fall special event the best ever and truly make it special. Consider ways you can make your attendees feel fantastic at the event and following the event. 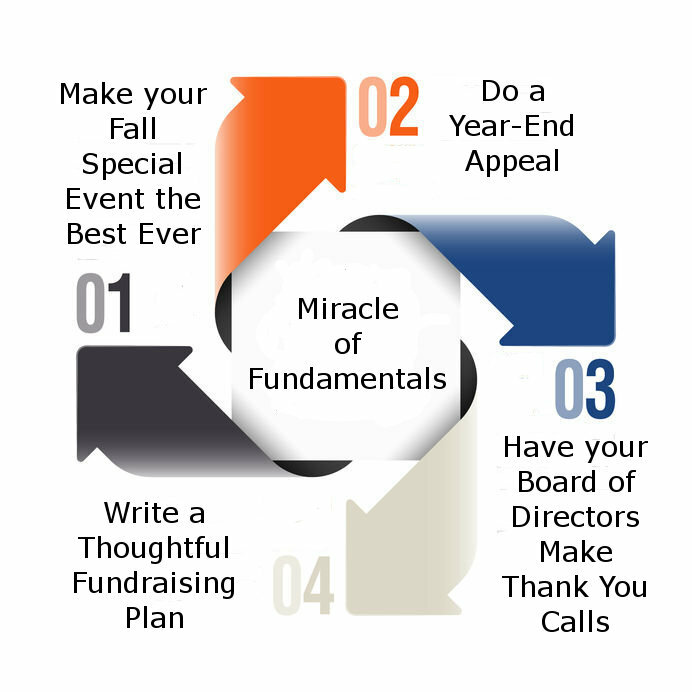 Do a year-end appeal that touches the hearts of your donors. Include a story that is informative and authentic. Have your board of directors make lots of thank you calls. This is a great use of board members’ time. The donors are appreciative and the board members are enlightened. Write a thoughtful fundraising plan for 2017. Having a plan will launch your organization into 2017 prepared and energized. A study conducted in 2013 by the Evelyn and Walter Haas, Jr. Fund and CompassPoint Nonprofit Services demonstrated that: “More than one in five (23%) – and 31% of organizations with operating budgets under $1m – have no fundraising plan.” There is a quote often attributed to Benjamin Franklin, that failure to plan is planning to fail. As Ben Franklin was an industrious fundraiser, he certainly understood the need to plan.